Abbott’s hard work, however, paid off with a scholarship to study Arts at McGill, two years after the University began admitting women undergrads. There, Abbott continued to flourish, was named valedictorian, and graduated with the prestigious Lord Stanley Gold Medal. Group of Donaldas including some of the first women graduates. Maude Abbott, 2nd row on the right. Abbott wanted to go to medical school—and she wanted to do it at McGill. The University, however, did not offer co-ed med school, and though she lobbied for admission, Abbott was curtly refused. She was eventually admitted to the more progressive Bishop’s College in nearby Lennoxville, but still medical school proved bittersweet. “Those were dark days,” she later recalled. “No longer within the walls of my beloved McGill, among rough students, many of whom seemed to me to have lower standards than those among which we had worked together [at McGill] for the pure love of the working, and struggling, as only a first year student in medicine does struggle, with the bare bones of anatomy—it was a dreary round.” But Abbott persevered and received her medical degree, along with the Senior Anatomy and Chancellor’s prizes, in 1894. Following postgraduate studies in Europe, Abbott returned to Montreal in 1877. She set up an office on Mansfield Street and began making a name for herself in the medical community. Her paper on functional heart murmurs convinced the Montreal Medio-Chirugical Society to take the unprecedented step of admitting a woman into its ranks. Another paper, this one about a woman suffering from pigmentation cirrhosis, so impressed George Adami, McGill’s Chair of Pathology, that he hired Abbott as assistant curator in the McGill Medical Museum. Although museum work wasn’t her first choice of career, Abbott was energized by the advice of William Osler, who she met during a training trip to Washington, D.C. The legendary pathologist told her to look past the “dreary and unpromising drudgery” and seize the “splendid opportunity” to do “wonderful things.” Maude Abbott did just that, and while teaching was not part of her job description at the museum, she couldn’t help but share her deepening knowledge of the museum’s collections. By 1904, her informal “museum demonstrations” had become so popular among medical students that they were officially made part of the curriculum. 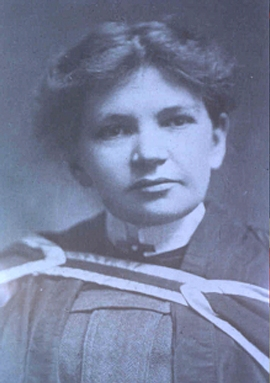 In 1910, still eight years before McGill finally admitted women to the Faculty of Medicine, the University awarded her an honorary medical and a lectureship in the Department of Pathology. The museum became a learning tool for the inquisitive Abbott, too. At the time, most clinicians were not concerned with the finer points of cardiac anatomy, or how to diagnose congenital heart anomalies. Abbott, however, became fascinated with a particular specimen dating from the early 1800s: a heart with no ventricular septum. So great was her passion for the “Holmes heart” (named after McGill’s first dean of medicine), and so thorough her self-education in cardiac anomalies, that William Osler soon asked her to write a chapter for his System of Medicine. Abbott’s chapter not only impressed Osler—“It is by far and away the very best thing ever written on the subject,” he raved—but set her off on what would become her life’s work. Over the following twenty years, Abbott expanded her research, eventually writing about some 1,000 heart anomalies. Finally, in 1936, she published her Atlas of Congenital Cardiac Disease. This definitive volume allowed cardiac specialists to take the unprecedented step of actually correcting some congenital conditions. The Atlas paved the way for modern heart surgery by stimulating diagnostic, physiologic and surgical advances. The book made Abbott an international figure in medical science—and even earned her a place in a Diego Rivera mural in Mexico City’s Institute of Cardiology. 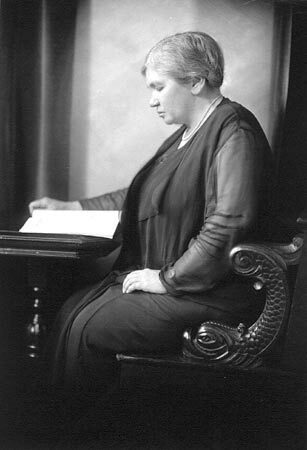 From 1924 until her retirement in 1936, Abbott served as an assistant professor in the Faculty of Medicine. 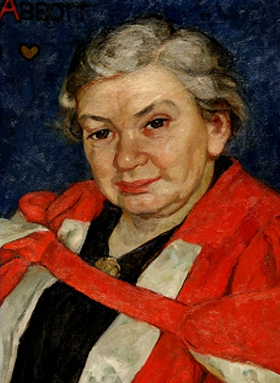 When she retired, the University awarded her a second honorary degree in recognition of her career as “a stimulating teacher, an indefatigable investigator and a champion of higher education.” In 1994, she was inducted into the Canadian Medical Hall of Fame, a fitting honour for a doctor who spent her career not only advancing medical science but fighting for women’s rights to do so.